Let’s talk about neighborhoods. We have an entire show about the topic courtesy of Curator-in-Residence, Georgina Jackson. The Neighbo(u)rhood exhibition includes events, installations and video-based works, which present differing points of departure and reflections upon the idea of neighborhood. The (u) in the title refers to a difference of translation, but also an a nod to the role of oneself in the existence of neighborhood. 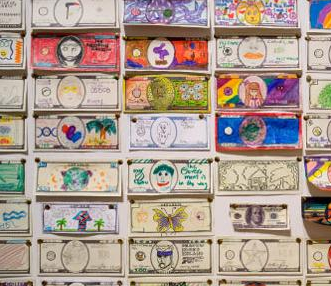 Participants of this Saturday’s Artlab will be participating in the Fundred Dollar Bill Project. Fundred Dollar Bills are original, hand-drawn versions of U.S. one hundred dollar bills that are being created around the country. 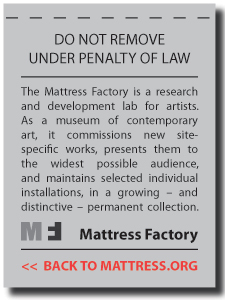 So what happens to these fundreds and fundreds of little pieces of art? They are all going to collection centers (the closest collection center is at one of our favorite places, The Fabric Workshop in Philadelphia) and will be delivered – by an armored truck! – to the U.S. Congress. Along with the fundreds will be a request for an even exchange of the creative capital for real funding to make safe lead-polluted soils in New Orleans and beyond. 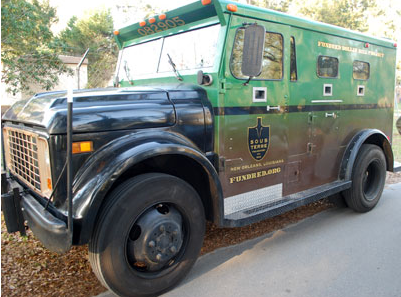 The Fundred armored truck! One day, your Fundred will be inside. 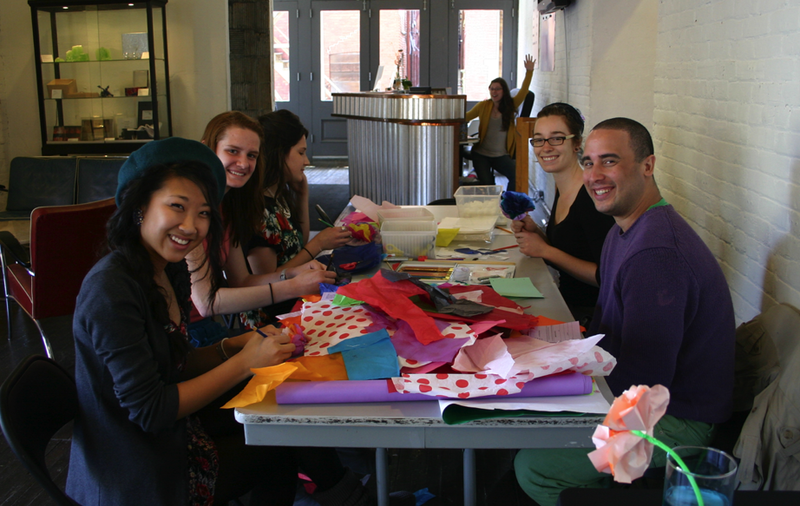 Please join us from 1:00-4:00pm in the Mattress Factory lobby and help to take care of our neighborhoods! Why: To celebrate community and help a community through the Fundred Dollar Bill project.